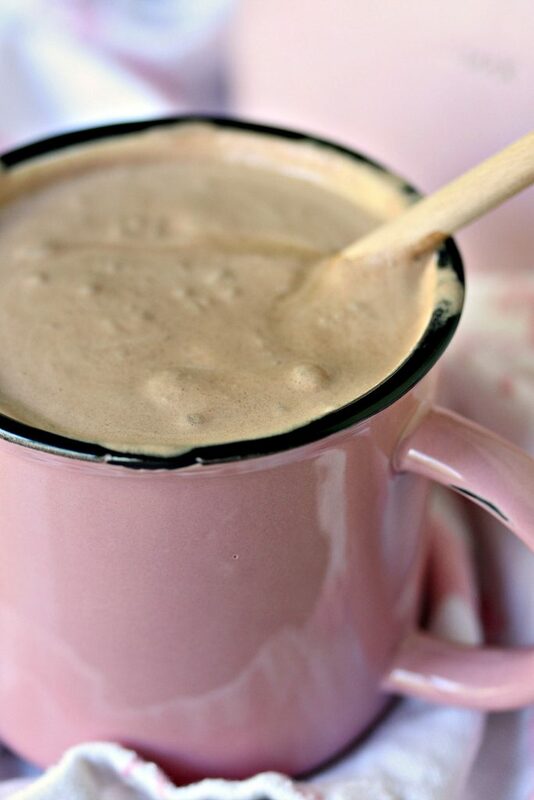 Hot coffee meets cold chocolate ice cream for the perfect sip every time. Nothing beats the taste of chocolate combined with coffee. That sweet flavor will change your life. 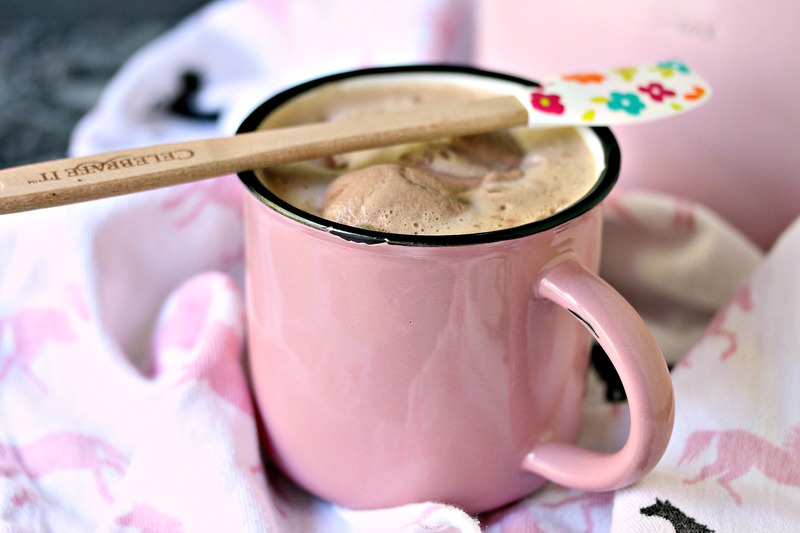 Click here to PIN this Chocolate Affogato aka Chocolate and Coffee Ice Cream Floats! 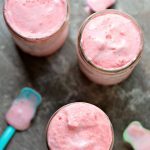 I’m obsessed with ice cream floats. I mean O-B-S-E-S-S-E-D with them. I cannot get enough of them in my life. I wish I could drink them every single day. Quite frankly, that’s pretty much what I’ve been doing lately. There is something about floats that makes me instantly happy. 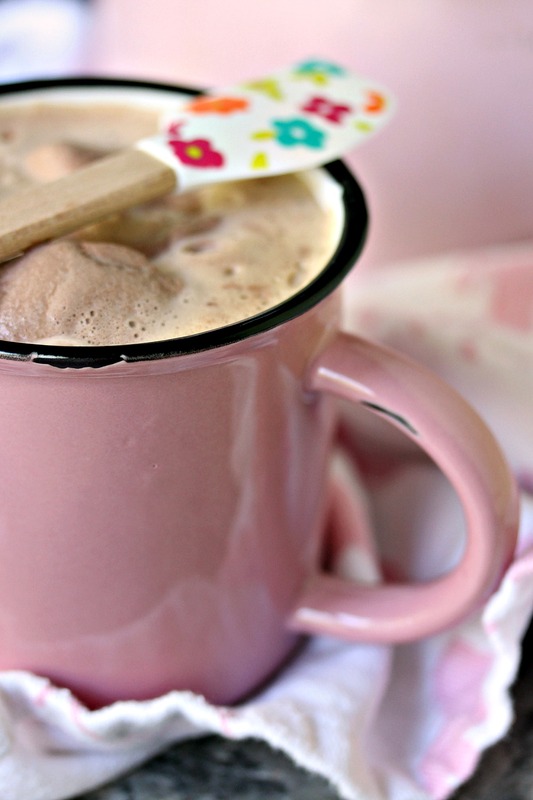 Dress up that float by serving it in a pink mug atop a pink horse towel and I’m even happier. Pretty drinks just make my heart skip a beat. 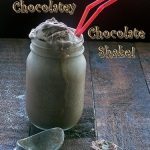 I made this recipe for my hubby. He’s a huge coffee fanatic. He drinks coffee as obsessively as I drink ice cream floats. So this was a way to combine our two loves in epic style. He’s happy, I’m happy, life is good. 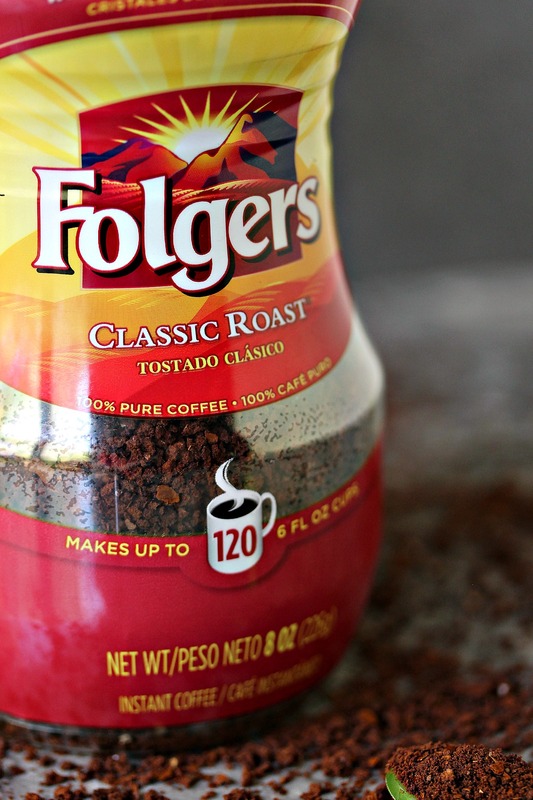 For this recipe I used Folgers instant coffee. I keep jars of it around the house for coffee emergencies. We have coffee emergencies daily. Some days the emergency is as simple as hubby is thirsty and I’m busy working. 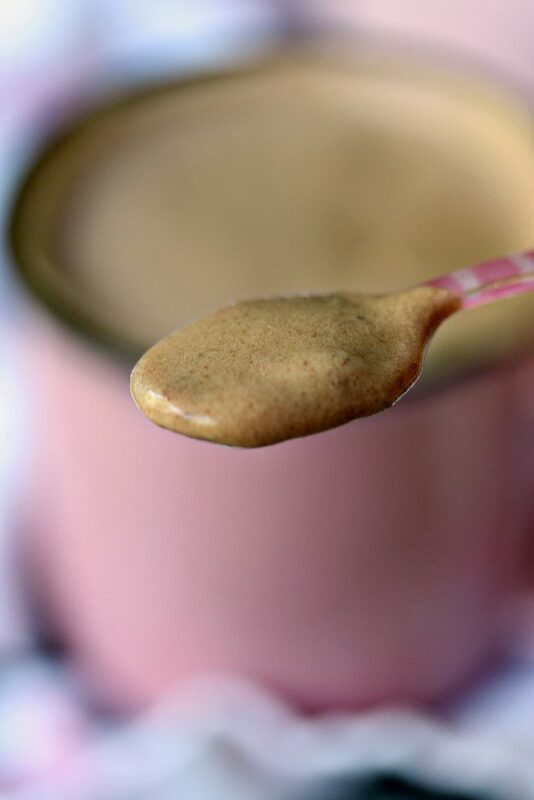 Instant coffee is the perfection solution. I’m all about easy and quick recipes. Honestly, the quicker I can make something the better. I’m not into long, drawn out, complicated recipes. I’m too busy for that these days. 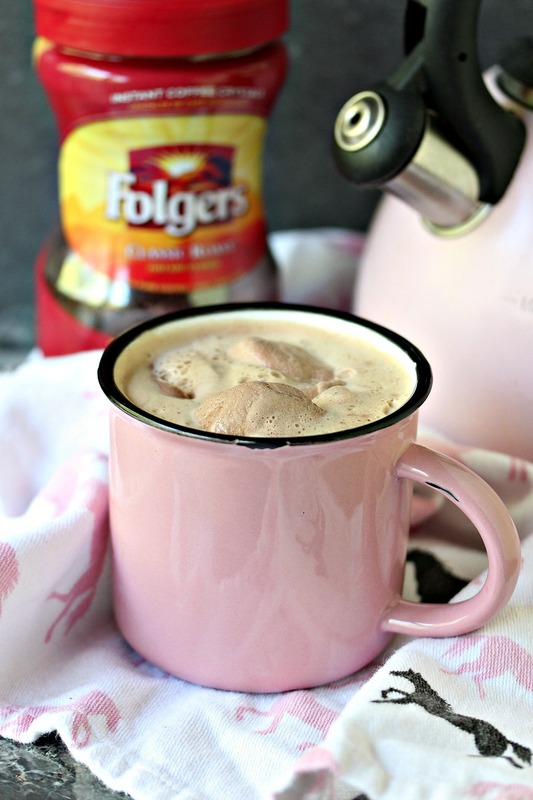 If you’re looking for more coffee recipes check out Folgers Recipes. It’s like an online coffee recipe emporium. It’s filled with delicious recipes that will tantalize your taste buds and put a smile on your face. Let’s face it, that’s what life is all about. Being happy, enjoying your life, and sucking back delicious coffee drinks. Okay, that last part was over the top. I’m okay with that though. I’m all about being silly and telling it like it is. 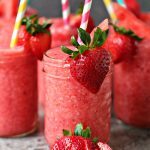 Whip up this drink as soon as possible. Then invite me over. We’ll sip Chocolate Affogato, aka Chocolate and Coffee Ice Cream Floats, all the live long day. We can sit by the pool and gossip while sipping these. See you soon! Brew coffee to your own taste. 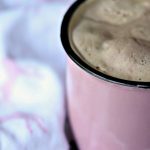 I used Folgers Instant Coffee for this recipe. Grab two mugs. Scoop 1 giant, heaping scoop of chocolate ice cream into each mug. Pour hot coffee over each one. Stir as desired. Serve with a big old coffee loving smile. PIN THIS TO YOUR FAVOURITE COFFEE RECIPE INSPIRATION BOARD! 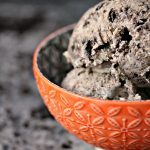 Be sure to check out my recipe index for more ice cream recipes. 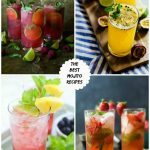 There’s also lots of summer recipes. Make sure you take a minute to follow me Pinterest and Instagram. It’s a great way to keep up to date with all my latest recipes. Yeah, ice cream floats are so much fun, aren’t they? And so flavorful! You’ve outdone yourself with this — seriously good stuff here. Thanks! They really are. I just can’t make them enough these days. So refreshing after a day outside. One of my favorite desserts of all time!! I like step #3 best. 🙂 Have a great holiday weekend, Kim. 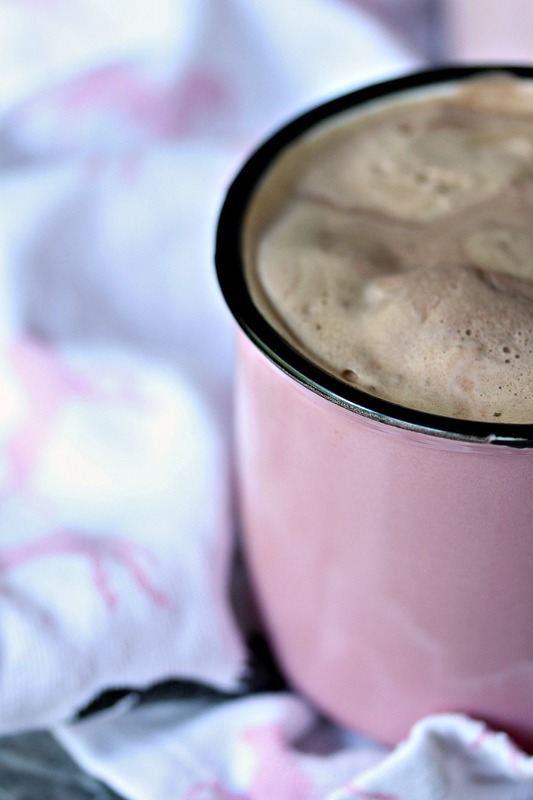 I love coffee and ice cream floats, so this affogato is perfect for me:). I’ll sip and spoon until I get down to the bottom – and then I’ll make another. Ha, I love that description Laura. They were darn good. I love coffee, and mixing it with ice cream can only make it better! Ok, this is genius! I love coffee, I love ice cream. Never thought to put them together and can’t wait to try it!! I LOVE affogato but I like it even more since you threw in chocolate. Sign. Me. Up!